The following program is an excerpt from my book "Peacock Bass Addiction." Carry this message to others and continue to practice these principles. 2. Have confidence that a series of bad-weather trips can help restore your sanity. The water level and fishery production cannot be optimal in all cases. Agents that don't call off high water trips can provide some relief from your addiction. 3. Make out your will and leave all tackle to charity. Not knowing the optimal use of such gear, the charity's chances of becoming addicted are minimal. 4. Take an inventory of your unused bass tackle. 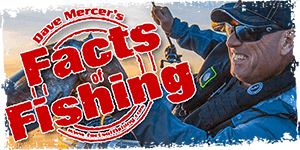 Determine a reorder schedule for receiving an ample supply of the top-water baits two months before your next trip. 5. Admit to all, including yourself, the exact nature of your addiction. Show them copies of your bass books and your photo album. 6. 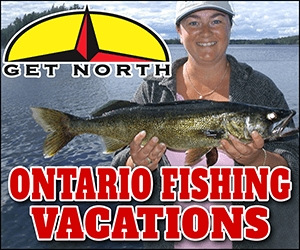 Be ready to lose lures, rods and reels, and baggage. Plan on taking extra tackle including line, and don't pack a suitcase with anything you can't live without. 7. Humbly, go fishing for largemouth bass, snook, and even panfish. Limit half your tackle to the less-addictive species that lie closer to your home. 8. Make a list of all domestic chores you have skipped out on and make amends to those affected by such decisions. Why not take them bass fishing to that "hot", can't miss location? 9. When we have harmed others by our addiction, admit promptly the wrongdoing. Invite along only fishing partners who truly can afford the trips and afford joining you in your addiction. 10. Seek out further knowledge of top-water bass fishing opportunities and have the power to overlook some. Select only those uniquely situated to provide great numbers of the quarry in all size year-classes from fingerlings to giants. 11. Practice total catch-and-release for thoughtful conservation of the species, and exercise minimal fishing pressures on the delicate resources. Handle trophy fish minimally to avoid their being overstressed. 12. Invest wisely in mutual funds. New addicts that are not willing to or are unable to follow the 12 Step Program in its entirety should not worry. This addiction is progressive, however, and cannot be cured in the ordinary sense of the term. It can be only arrested by total abstinence from top-water fishing. But the "hooked" angler will more likely need books, videos, magazines and a support group like the OFC Community. The addict will likely need bandages, pain killer, gloves, belt, elastic bandage, sport cream, etc., as he or she continues to chase the "dream of this ecstasy". That sounds like advice for "quiters". Pretty funny though, no doubt about it. I don't think I have what it takes to ever get away from my top-water addiction...good luck to those that attempt to get this monkey off their backs.